So What Exactly is a Silent Heart Attack? Also called a silent myocardial infarction (SMI), a silent heart attack is basically a heart attack with much less intense symptoms than a classic heart attack. A classic heart attack may include symptoms of extreme chest pain, shortness of breath and lightheadedness. With a silent heart attack, people may experience much less severe forms of these symptoms or not experience any chest pain at all. Tasha Benjamin, a busy mother of four in East Syracuse, recently shared her story about having a silent heart attack back in 2014. “You may not necessarily feel an elephant sitting on your chest, which is sometimes related to having a heart attack. It may just be you feel nauseous and dizzy and you may say oh, it's something I ate or I could be tired," Benjamin said. It is not uncommon for people to mistake a silent heart attack for less serious conditions, including heartburn, gastric reflux, indigestion or just being stressed or tired. “Also, the location of pain [if there is pain present with a silent heart attack] is sometimes misunderstood. With SMI, you may feel discomfort in the center of the chest and not a sharp pain on the left side of the chest, which many people associate with a heart attack,” reports Harvard Health. The takeaway here is that there are people who may be having heart attacks and moving on with their daily routines without seeking medical attention until they feel really sick or are due for a routine physical. 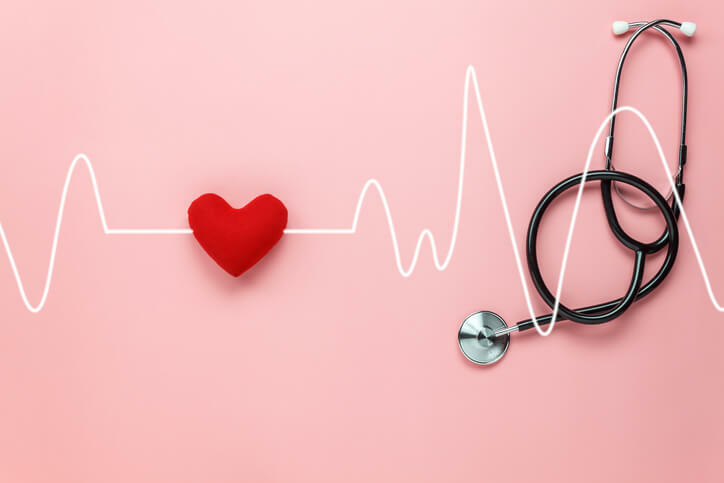 Benjamin did not discover that she had suffered a silent heart attack until she went to her doctor for a regular physical and had an electrocardiogram (EKG). (This test essentially measures electrical activity in the heart). Benjamin said, "If I didn't go for my physical, I would have never had the EKG, I would never have known I had suffered a heart attack." Comedian and actress Rosie O’Donnell shared her experience, through one of her stand-up routines, of having a heart attack at the age of 50. From her story, we cannot definitively determine whether she had a silent heart attack. However, O’Donnell did not seek immediate medical attention. It was not until she went home and ‘Googled’ her symptoms that she realized she probably had classic symptoms of a heart attack. O’Donnell was clearly uncomfortable and experiencing symptoms, but we see, once again, that not all people who have heart attacks have to be carried away on a stretcher and go straight to the emergency room. “When women have a heart attack, 75 to 80 percent don’t seek medical attention. Meanwhile, 90 percent of men call 911 at the first signs of chest pain. More women die of heart disease than men,” (Medical Daily). Silence Does Not Equate to Less Dangerous. In fact, silence may even be more dangerous. “SMI often leaves scarring and damage to the heart, which, combined with the fact that many people who have an SMI don't seek immediate care, can further raise a person's risk of a second and potentially more harmful heart attack," says one doctor, in this Harvard Health report. “In fact, people who have an SMI and don't get treatment have a three times greater risk of dying from coronary artery disease,” reports Harvard. So How Can You Be Proactive About Something That is Silent? Although some silent heart attacks can practically have no symptoms or very subtle symptoms, know that things like shortness of breath, feeling nauseated and pain in the center of the chest (even if it goes away and then comes back) can be some of the warning signs. Do not attribute these signs to digestive issues, stress or fatigue. For those with health insurance, take advantage of having it. And hospitals, emergency medical services and doctors are there for a reason. Use them! I think many people fear they will be embarrassed if they seek medical attention and something ‘serious’ is not discovered. But remember that it is far better to have a doctor tell you that you have heartburn than for you to have a physical a month later and then discover that you actually had a silent heart attack a month before. For those without health insurance, you may be treated in the emergency room if you have symptoms which you believe are related to a heart attack. Whether it’s a classic or silent heart attack, heart disease, which may cause heart attacks, are usually preventable. Obesity, high blood pressure, high cholesterol levels and diabetes are all risk factors for heart disease and heart attacks, and there is a lot we can do to control these issues. So eat healthily. Read here for specific nutrients we need to include in our diets which may help keep our hearts healthy. Exercise regularly, and get routine check-ups so you can be proactive about your heart health. And if you are a heart attack survivor, remember that maintaining a healthy lifestyle can help you better recover and prevent future heart attacks. In addition, talk to a competent healthcare professional about Magnesium Orotate. We discussed this mineral earlier and highlighted the credible research associated with this form of magnesium. For example, Magnesium Orotate may improve survival of heart tissue damaged by a heart attack. (Also, read here for minerals for heart health).